Drones are today providing many safety and economic benefits to a wide range of industries. Ranging from aerial inspections and photography to emergency deliveries and monitoring rescue missions, the list of services the UAVs are offering is endless. Although the earlier models were mainly for photography and enthusiasts, today’ drones have many capabilities and functionalities that companies can use to improve safety and efficiency in both normal and difficult environments. Inspecting risky and difficult to access facilities and remote field infrastructures such as pipelines in oil and gas industry. Monitoring rescue operation or assessing hazardous sites before sending emergency personnel, etc. The use of drone inspection is not restricted to the oil and gas, and similar industries. They are suitable for many other applications in almost all industries. This includes surveying, construction project management, farming, rescue missions, fire fighting and more. 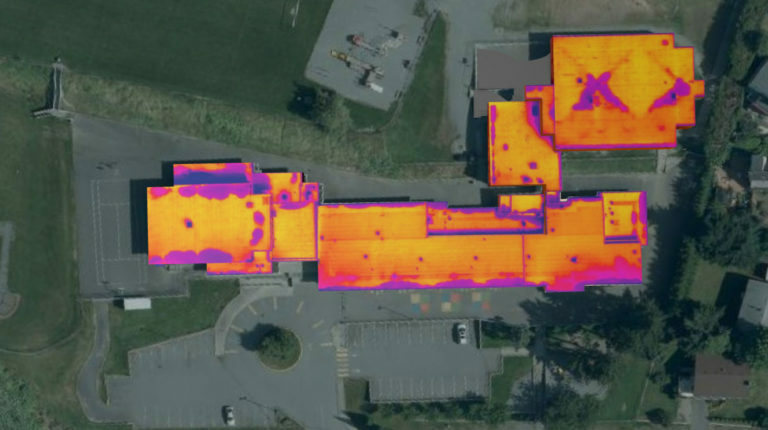 They allow people to perform aerial inspectors and obtain images of roof or structure damage, crop damage, terrain features and other properties that someone cannot see easily from the ground. Different industries have their unique environments and requirements, but in general, here are some of the ways drones improve safety and efficiency. Due to their ability to fly, the drones reduce the costs and equipment needs as well as the risk associated with building and structure inspections. Carrying out such services using the traditional manual methods is usually expensive and risky as it exposes the workers to a wide range of safety and health risks. On the other hand, drones are quicker and require fewer people to carry out an inspection or monitoring service, hence more savings. Today, there are many different sensors for drones. This enables them to check physical properties such as cracks, corrosion as well as chemical conditions such as gas or liquid leaks. Equipping the drones with, say, a thermal camera, a video and photo camera, and gas detection sensors enables it to perform multiple tests, hence reducing the time and cost of carrying them out individually. Since drones provide a low-cost solution, companies can perform regular inspections. This has the potential to reduce shutdowns and improve operations efficiency. The regular inspections increase the rate of identifying issues before they develop into problems that would cause shutdowns or lost production. Drones can, therefore, provide an easier and quicker means of identifying faults and then allowing the company to fix them at the most convenient time as opposed to waiting for faults to develop fully and cause expensive shutdowns. In addition to reducing risks, the drones are quicker, less costly and have the ability to capture more details; especially in confined spaces where humans cannot access, are exposed to more risks. Majority of inspections do not require shutting down the plant or machines. This allows the company to continue with its production without any interruptions. 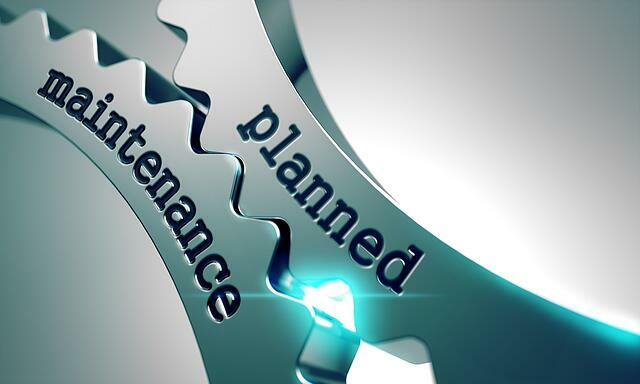 A traditional inspection interferes with the normal running of the systems and will most often require a partial or complete shutdown. This can be expensive in addition to lost time and production. With a drone flying at a safe distance, the company will continue its operations and hence achieve higher efficiencies. Sending a drone to first assess damage is the safest approach to handle potentially risky structures. This is especially necessary in cases of fire, toxic gas leaks, spills, collapsing or damaged roofs, or metallic structures suffering from corrosion and other causes. A drone eliminates the need to send a human to go to a place that may still pose risks such as further collapse or spread of fire. Navigating the drone from a safe ground position allows the operator to have a view of what is happening in real-time, and determine the best and safest way to address the problem. The drone views enables the firefighters to prepare well and extinguish it more efficiently and safely while minimizing further spreading, and avoiding loss of life, injuries and damage to property. Even during normal or regular inspections of structures, a drone is useful in assessing the status of the structure. This allows the maintenance team to determine what they need in order to fix the problems while ensuring the workers have adequate gear that guarantees their safety. Equipping UAVs with appropriate gas or liquid sensors allows them to evaluate areas of toxicity before sending human workers. This prevents exposure to harmful fumes that can lead to health complications or even death that will cost the company more money in compensation. The drone eliminates the need to send workers to the hard-to-reach areas, climb structures, walk on top of faulty roofs and other activities that expose them to other hazards. The drones can operate in hazardous environments including those that are cold, hot, toxic, confined or over fumes, smoke, dust and other harsh conditions. By eliminating the traditional access methods, the company saves money it could have spent hiring or purchasing expensive equipment such as rope access and scaffolding. Other than acquisition costs, using the equipment has several risks and the workers must be insured adequately, hence increasing the expenses further. Overall, drone provides a safe, efficient and less costly alternative to organizations, that have to help them increase reliability and productivity. By taking aerial images of a construction or disaster site, the managers can monitor the activities from safe distances. This reduces the possibilities of accidents arising from falling objects such as debris, tripping, falls and more. The managers can even monitor spillages and leaks without putting their lives at risk. The drones allow the supervisors to inspect the site remotely and in real time hence eliminating the need to go into the dangerous areas. They also eliminate the need to climb other structures such as cell towers, wind turbines, and electrical transmission poles for inspections. This eventually minimizes potential risks from physical objects, falls, hazardous gases and chemicals as well as other hazards such as extreme temperatures or contamination. Inspecting worksites or structures enables managers or supervisors to see what is happening without putting their lives at risk. This allows them to track progress and identify any issues or potential problems from a safe distance. The drone can help to easily identify potential as well as existing problems hence allowing the company to fix them before they cause bigger issues. Adding other technologies such as virtual reality and artificial intelligence increases the capabilities of the drones that enable both professional and non-technical people to easily interpret results or learn about the structures remotely. For example, a person can have a virtual tour of a structure or construction site before a project has started. Such a tour enables the workers to have an idea of the facility even before physically setting their foot there. It not only prepares them for what they will meet, but also provides an opportunity to discuss with others and give feedback on issues such as placement of particular equipment, controls, inlets, outlets, etc. In addition, the early input allows the decision makers or maintenance managers to make necessary changes that increase efficiency while creating a safer and better workplace. Providing the essential information to all stakeholders allows collaborations and contribution by everyone, and has a potential to improve teamwork and efficiency. In addition, it saves on time since the workers will be familiar with the site.